It is who we are and what we do! it's defined by a feeling of pride, purpose, and excitement to come to work. We aren’t here to punch a time clock and leave – it’s more than just a job to us. We have each other’s backs; we are committed to safe practices; and our values are simple, yet clearly define our expectations. You invest a good portion of your days – and therefore your lives – at work. Hagie recognizes your contributions made at work by offering a competitive and comprehensive Total Rewards benefits package that is meaningful and impacts your personal life. When you consciously use your time spent at work to express your purpose, make a difference, and help yourself and others grow, your experience changes dramatically. Hagie Manufacturing is a leader in the agricultural industry in providing crop protection solutions to customers in the form of high clearance sprayers. For over 70 years Hagie Manufacturing has operated with integrity, putting the company and employees' best interests ahead of their own. On March 29, 2016, Hagie Manufacturing Company entered into a joint venture with John Deere. The incorporation of Hagie application solutions completes the John Deere sprayer portfolio with products featuring unique late-season capability, while also expanding the Hagie company footprint to serve more customers across the John Deere distribution network. A partnership designed to capture the synergies and strengths of both brands, this relationship is designed with the benefit of our customers in mind. 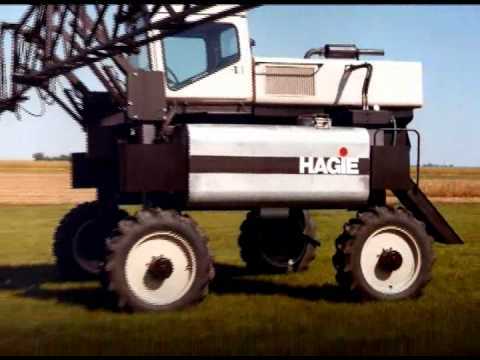 Check out a brief history of Hagie Manufacturing Company in the video link to the left.